A HISTORY OF ORTHOPEDICS portrays the beginning of orthopedic surgery from ancient times to the current era. It follows the gradual development of a specialty from Egypt to the European continent and England and from there to the United States of America. After the discovery of anesthesia and x-rays in the 19th century, a more rapid development of surgical endeavors led to the current situation where arthroscopy could view and treat deranged joint mechanics, and painful arthritic joints could be replaced. Many of the important persons who helped reach this current state are listed with their contributions. 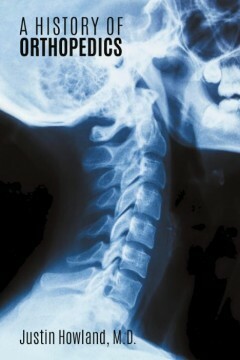 Whereas in the 19th century orthopedic surgery was still considered part of general surgery, in the 20th century the two specialties became separated. In addition, there was a struggle between conservative practitioners (the “Strap and Buckle” doctors) and those who felt surgical intervention provided better results. Retired Orthopedic Surgeon Justin Howland practiced orthopedics in Redding, California for 28 years. 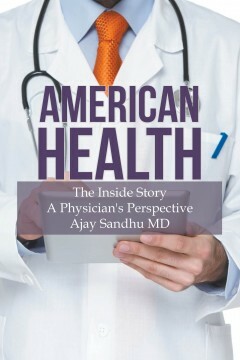 After graduating from Yale University, he received his MD degree from N.Y. Medical College. He interned at Kaiser in San Francisco, and his residency was at Fitzsimons in Denver. After a tour in Europe and a stint as Chief of Orthopedics at Fort Dix, N. J., he and his family (five children) returned to California. With the affordable care bill taking center stage in Washington these days, the book highlights in a satirical and sarcastic style the real issues of American health care system. While all the players including pharmaceutical industry, insurance giants and health care systems have muscle power, the most vulnerable group that is our patients and their families desperately need a lobbying seat in the Congress. The book is short and concise to be read in a single day. By Rosalie H. Contino, Ph. D.
One phone call hurt Rosalie so much. Bob's boss told her that her brother has to retire because he wasn't as reliable as he used to be, and the company didn't want to be liable for any accident caused by his disability. She couldn't believe that the company whom Bob served for forty years treated him like a thing—he was dispensable. Nonetheless, she agreed that her brother has to retire. Robert “Bob” Contino was diagnosed with a mild case of “schizophrenia,” or as Dad used to say, “A tip of the iceberg. A tip,” as a young man, and Rosalie knew that taking care of her sixty-one-year-old brother would be a challenge. She noticed her brother's limping, but Bob was more physically sick than she thought. As laboratory tests were administered to him, more and more ailments manifested themselves–some even fatal. For the love of Bob, Rosalie put off many of her plans to take care of him as she has vowed to their deceased parents. He annoyed her with his sarcasm and impertinence, but looking back at her brother's life and the painful experiences he had to endure, she put everything into its proper perspective and remembered Bob fondly, as she reflects on the lessons. Lower the risk of developing cancer. And do so much more! 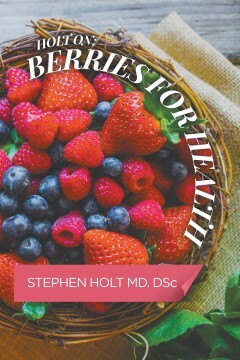 This book traces some of the latest research on The Power of Berries in easy-to-understand language. So, while the scientists look for the cure for cancer, heart disease and other diseases or ailments, berries offer great promise. You can add berries to your own arsenal to beat illness and stay well. 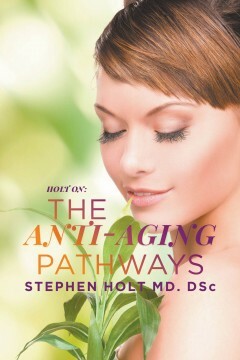 Stephen Holt MD. DSc is a pioneer of Integrative Medicine, best-selling author and medical practitioner in New York State. Scientists continue to enumerate the benefits of plant-based protein diets for the population at large, but only a limited number of people hear and act on this simple message. This circumstance creates a monumental task in any attempts to change the eating habits of a nation. While it is often difficult to pin-point the influence of certain or individual dietary constituents on health, it appears clear that strong carnivorous tendencies tend to breed ill health. The over inclusion of meat protein in the human diet presents excessive intake of saturated fat and cholesterol and it contributes to excess morbidity and mortality from cancer, diabetes mellitus, osteoporosis and cardiovascular disease. 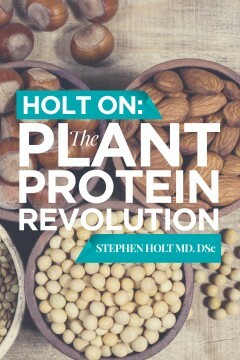 While this book highlights the negative effects of excessive animal protein on health, it presents foundations to support the conclusion that a change towards plant protein intake will confer health benefits on the U.S. nation or much of Western society. 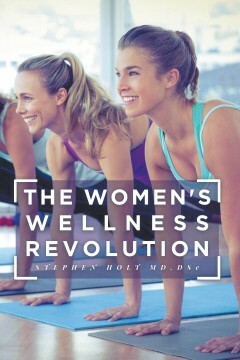 Women’s Wellness is a very complex subject that has been summarized in this book, with special emphasis on menopausal disorders and premenstrual syndrome. In this book, there is a reasonably comprehensive account of hormone replacement therapy including discussions about its disadvantages and limitations. A growing number of physicians have opted to use “natural hormones” as a basis of their treatment approach. While menopause is a principal problem for the mature woman, the book describes the male equivalent of this problem, namely the andropause. How the andropausal male interacts with the menopausal female is an important issue that I have termed the omnipause. A major strength in this book is the description of the use of remedies of natural origin for female complaints. This approach is apparent in Dr. Holt’s development of therapeutic “Menoplans.” The book is meant to match today’s changes in treatment paradigms towards more natural forms of treatment for women’s woes. 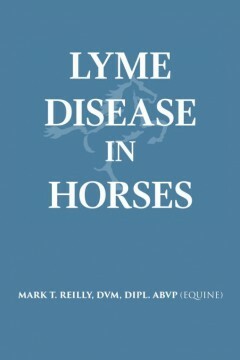 Lyme disease is a contagious disease that is a common and troubling medical dilemma for horse patients. Learn your enemy before it attacks you and your prized horse. Basic and thorough knowledge about this disease and its related illnesses, its sources, and remedies can help stop its potential spread into your homes and stables. Deal with Lyme disease the right way. Mark T. Reilly, DVM, Diplomate ABVP (Equine) is a practicing veterinarian for over twenty-five years. He earned his bachelor of science degree in animal science at the University of New Hampshire. He continued his education at the Tufts University School of Veterinary Medicine. He owns and operates the South Shore Equine Clinic & Diagnostic Center in Plympton, Massachusetts. Dr. Reilly has presented numerous times to local, national, and international horse owner and veterinary seminars. The book you hold in your hands tells the remarkable story of one woman’s journey from a diagnosis of irreversible brain damage-that would leave her with an 8th grade IQ-to her stunning and unexpected recovery from both physical and mental deterioration. In spite of the opinions of experts who claimed she would never return from such a prognosis, she did rebound, accompanied by a radical life change which led her to become a holistic health practitioner-a board-certified Naturopath and Nutritionist, with the added bonus of finding her life’s calling by improving the health and the quality of others’ lives. Her story is an inspiring account that carries a message of hope for all who seek to achieve wellness and healing in their own physical, mental, and spiritual lives. Sherin Lee’s story will provide you with inspiration and hope as you follow her on your own health journey. Lee is a firm believer that we shall lay witness to many cures that the medical sciences of today…claim impossible. This book encourages everyone’s belief that in life, in YOUR life, “all things are possible to he who believes” and it all begins with hope. And anything can happen when one has hope. If you have been keeping company with your enemy called FEAR—command it to leave! Sherin Lee ND CNC has been engaged in such diverse occupations as modeling, interior design, television, and restaurant management, along with a successful insurance career. Physical and mental damage from a life-threatening automobile accident led her to a climactic shift in her life’s view. Everyone wishes to cling to eternal youth, but father time inevitably takes its toll. 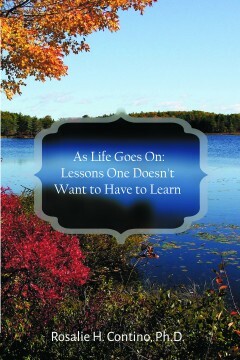 This book reviews health challenges that occur with age and provides sound advice on how to stall the aging process. While the physical consequences of aging can be masked by cosmetic surgery this approach is one of several quick fixes applied to aging. This book is not about quick fixes for aging, it delves into the fundamentals of aging and incorporates advice on socio-behavioral factors that affect aging. In the presence of many anti-aging antics, this book describes the inevitable advancement of age with a clear set of instructions on anti-aging tactics. 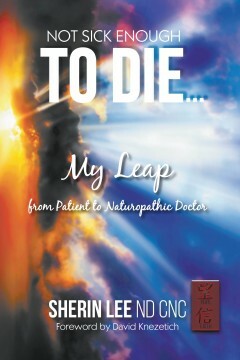 Enjoy this book with confidence that it may give you a chance to live longer in better general health. 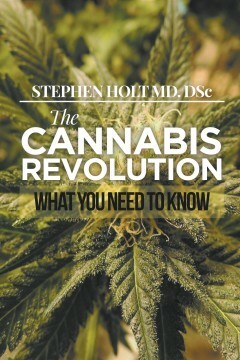 An esteemed medical practitioner and a pioneer of integrative medicine, Dr. Stephen Holt addresses a plethora of pros and cons on the use of marijuana in The Cannabis Revolution. While the book was originally intended to be a resource material for health advocates whose goal it is to be certified cannabis counselors, it is an excellent reference book for students and individuals who want to know more about the plant. As an ethical adherent of scientific inquiry, Dr. Holt wrote the book to update readers and concerned individuals about the developments in the study of cannabis, dismissing archaic views and unscientific judgment. He aims for the book to be read with an open mind. Dr. Holt conducted his studies with the least bias possible. As the book progresses, more valuable research findings on the benefits of using marijuana are presented and also more misconceptions are corrected, like the alleged cancer-curing properties of cannabis. Dr. Holt makes it clear that marijuana does not cure cancer. According to Holt, it has “valuable adjunctive cancer-treatment properties,” making it a helpful tool in treatment and alleviation of some symptoms, but not exactly an antidote to the multifaceted lifestyle disease. Dr. Holt also discussed the effects of marijuana on other medical condition like mental illnesses, HIV, cardiorespiratory disorders, neurological disorders, and even pregnancy. The various conditions are discussed in every chapter, detailing both the advantages and limitations of cannabis with regards to every disease. The potential backlash of writing a book about this controversial plant considered, it is proper to acknowledge the bold step taken by Dr. Holt. While the book does not lean on any side of the controversy, it does, however, champion an impartial medium between the two. Such is necessary since marijuana, like any other known herbal and synthetic drug, has good and bad effects. A balanced outlook of the popular and sometimes glorified plant promotes responsible usage, keeping in mind that too much of anything can also be harmful. Verbatim statements are variably used in the book in an intentional manner to maintain fidelity of the work.